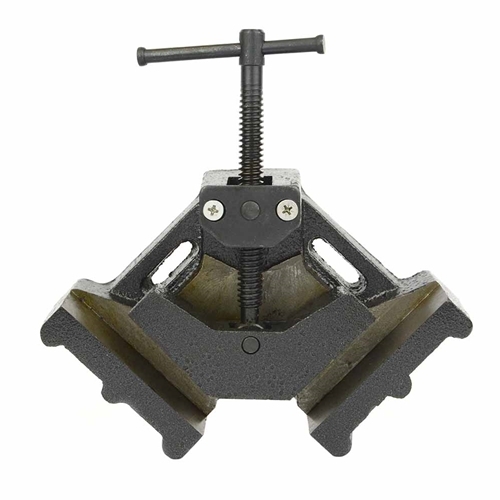 Kaufhof KV4W 4 Inch 90 Degree Welder Angle Clamp. heavy-duty cast iron vise allows two items of different size to be joined at a 90° angle. Great for quick, easy set-ups for welding or assembling projects. Slotted base holes for easy mounting; copper plated screws withstand weld spatter. Ideal for plates, angle iron, square tubing, pipe, channel iron, etc. Jaw Width (Tip to Tip): 5-9/16"